A Tender Heart » Blog Archive » I feel like an official mother now! A few weeks ago, I was sitting in church and out of nowhere, it hit me. Holy smokes! I thought, I can start ordering The Friend for Bubbers!!! And I couldn’t believe I was actually at “that point”. Where I had a child and that child was old enough to really be learning about the gospel of Jesus Christ. And that child could start reading the church’s magazine for children! I was so excited, I immediately wrote myself a note so I wouldn’t forget and then hoped I’d remember to order it the very next day. To tell you the truth, I can’t remember if I remembered to order it the next day, but I do remember ordering it! And then I wondered how long it would take to get the first copy. And then I pictured how excited Bubbers would be to get his very own magazine and how fun it would be to cuddle up with him on the couch and read it together. 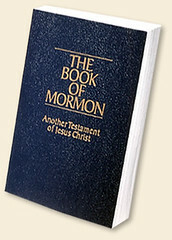 And how neat it would be to take it to church and read it during Sacrament Meeting. And how we could start collecting them for rotating through the church bag for future children to read in years to come. 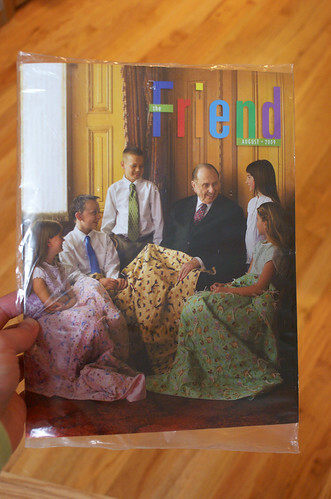 And then, when I opened the mailbox today…..
Bubbers’ first edition of The Friend! And when I took it out of our mailbox, I suddenly felt like an official mother. 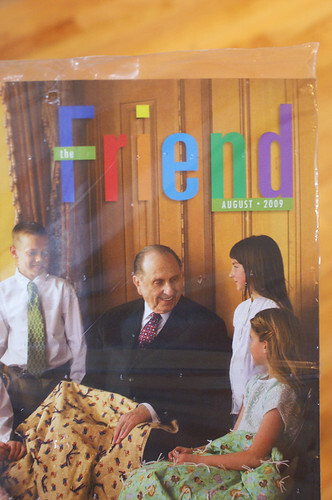 I could just picture his little face lighting up when he recognizes our Prophet, President Thomas S. Monson on the cover. And how he’ll point to him and say, “Prophet?! ?” with sheer delight. And how we’ll sit down and look through the whole thing together. Then I put it on the counter and smiled. Yes, I think you now officially a Mormon mother! He will love it, Elora is always so excited for her “mazagine” to come!